Songs & tunes, reeds & strings, rhythm & blues, jigs & reels, original & trad. Debut CD “Riverfield” released in 2016, recorded in a 200-year-old log house in the Chateauguay Valley. BluesReel is a harmonica and guitar duo unlike any you have heard. John Kerkhoven and Patrick Hutchinson take you on a musical journey of traditional tunes, blues and originals, played with soul and fire. 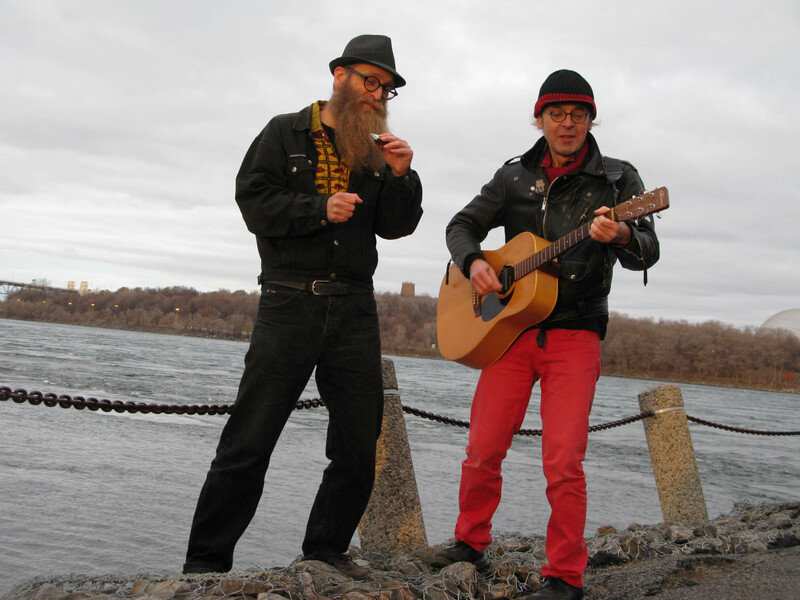 BluesReel is a harmonica-guitar duo inspired by the folk tradition from both sides of the Atlantic. Based in Montreal, BluesReel plays a compelling repertoire of traditional tunes, blues and original compositions. A bit of rawk and roll has also been known to creep in to the mix. Equally at home in traditional and contemporary folk genres, Patrick Hutchinson (guitar) brings the Celtic influence to BluesReel. John Kerkhoven (harmonica) performs in many styles, but his first love is the blues: gospel blues, delta blues, country blues, Chicago blues.